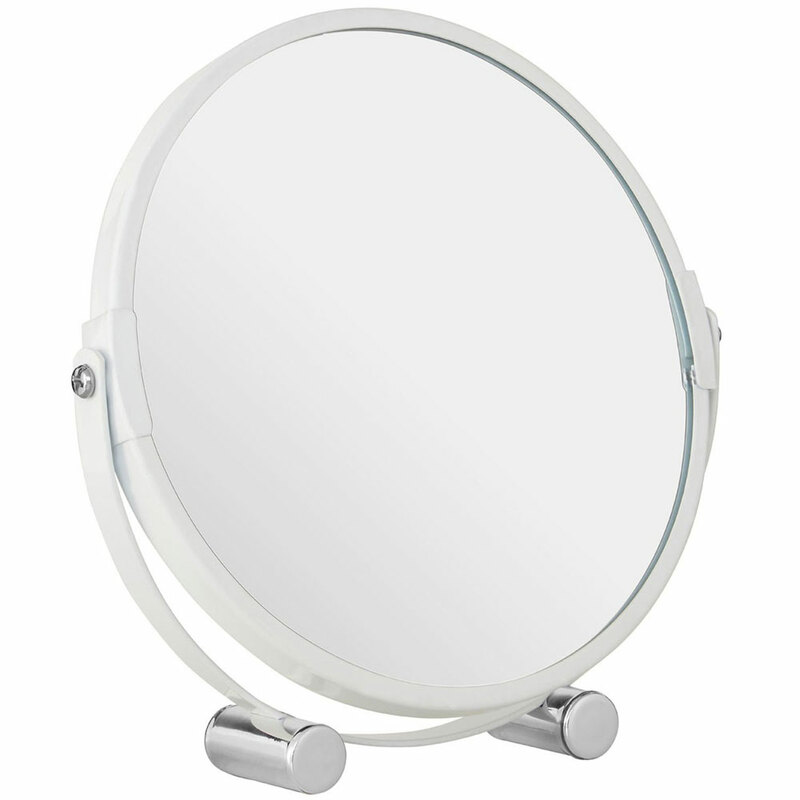 This round mirror is made from metal, and is given a clean white finish to complement the silver tubular feet. 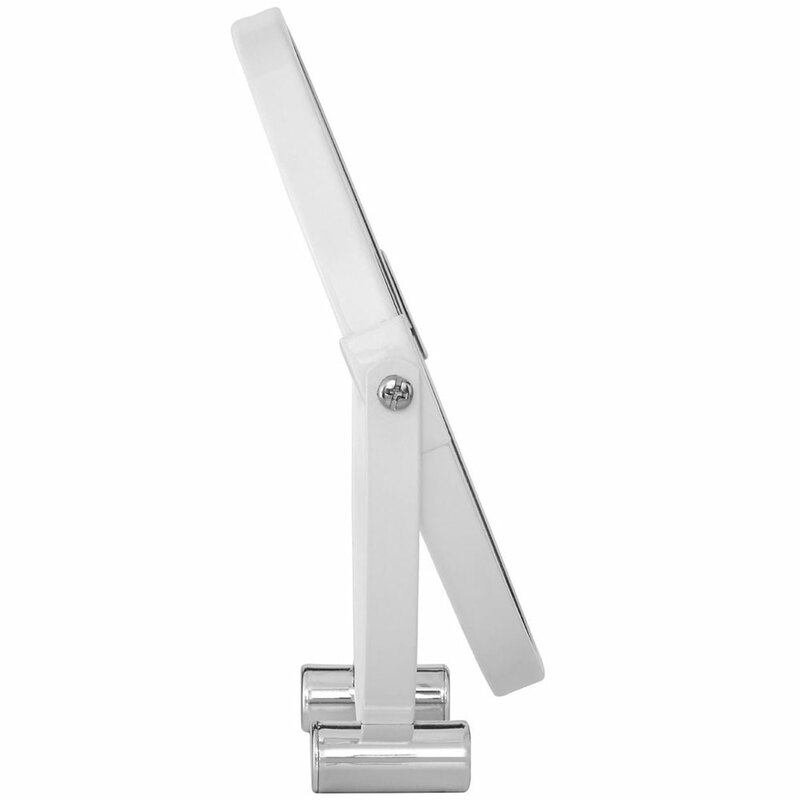 Its feet are widely spaced to create maximum stability. 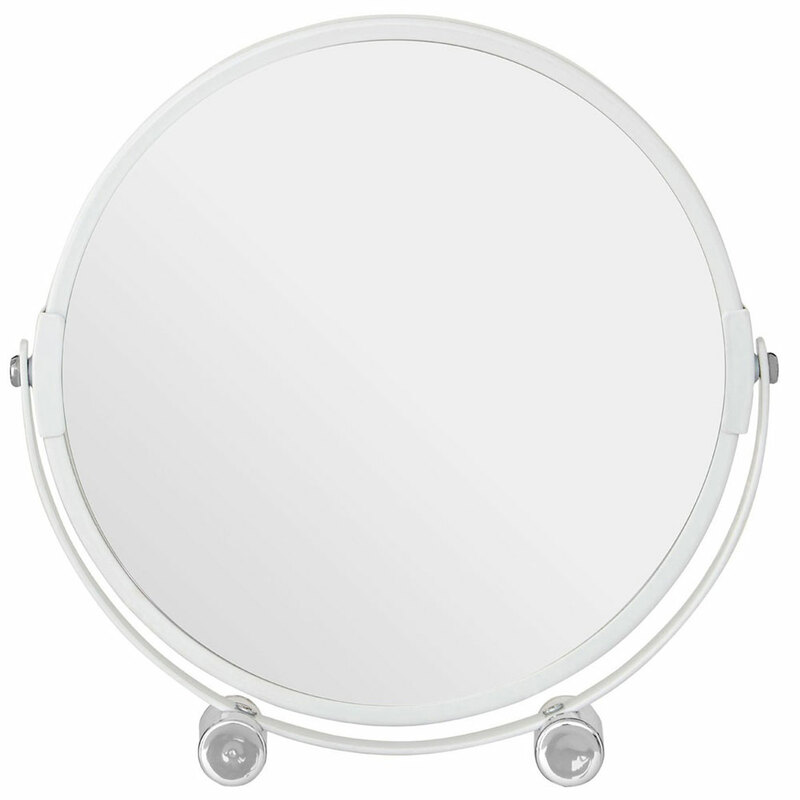 The mirror is connected to a u-shaped sling that allows it to be swivelled to achieve the optimum viewing angle. Flip the mirror over to switch between single and double magnification.